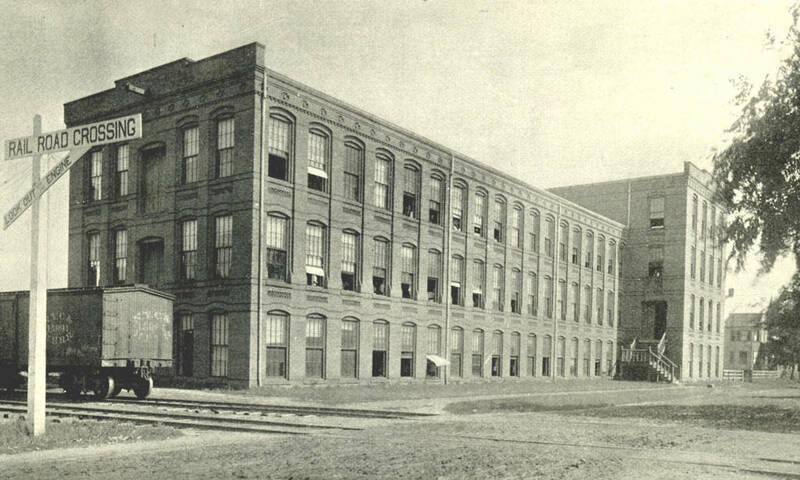 The factory on Wilbraham Road in Springfield, which would later house the Indian Motocycle Manufacturing Company. Seen here around 1892 and published in Picturesque Hampden (1892). This building is best known as having been part of the Indian Motocycle Company factory, but it has had a variety of uses over the years. The original section of the building, as seen in the 1892 photo, was built in 1883 for the Bullard Repeating Arms Company, a rifle company that was not as successful as another firearms company founded in Springfield during the 19th century. Bullard didn’t last too long, and the building was then used by the Springfield Industrial Institute, a private trade school. In 1895, the school moved to the building across the courtyard, and the Elektron Company occupied this building. It was at this point that the wing was built to the east, beyond the tower. Early in the 20th century, George Hendee moved his motorcycle company to this site, which was originally named Hendee Manufacturing Company, but was later renamed Indian Motocycle Manufacturing Company (the “r” was intentionally omitted from “motorcycle” for trademark purposes). The two story addition was put on the building in 1911, which by then had nearly quadrupled in size from the 1892 photo. 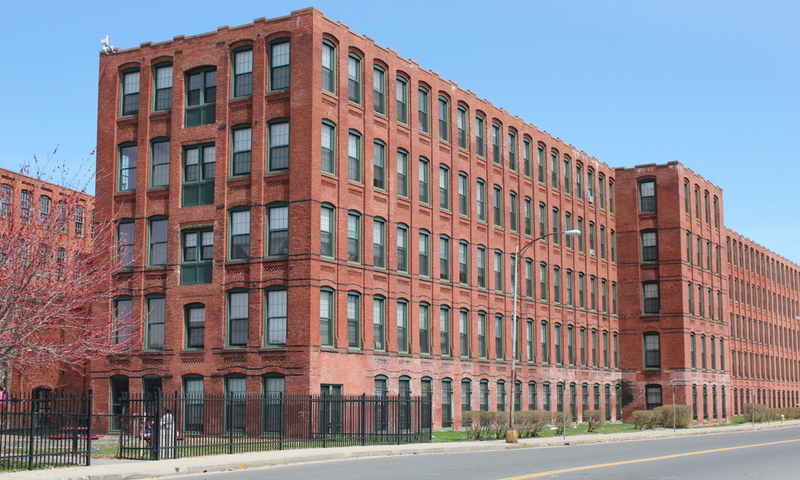 This triangle between State Street and Wilbraham Road was the home of the company until they closed in 1953, at which point the buildings were used for various other businesses. Since then, several of the buildings have been demolished, although the original 1883 Bullard building survives, and it has been renovated and turned into apartments.